So you’ve decided that you want to work in accounting – but where do you start? When it comes to choosing the right educational track, the long list of options may seem daunting. However, once you know what you want and how far you want to go, you’ll find that it’s not that hard to find the right degree. To make it all easier, here are the most popular types of accounting degrees and how they can help you land that Big Four dream job. If you are looking to learn some accounting skills and get a taste of the profession, you can study for a Certificate in Accounting. This will help you gain basic knowledge of business and accounting, while preparing you for further accountancy training. Such courses may take up to a year to complete and are often offered online. They may be a good route into the accounting field as they have no specific entry requirements. For entry-level accounting jobs, there is no going wrong with an Associate’s Degree. You can complete this in just two years and get started straight away as a bookkeeper or junior accountant. Many community colleges and technical schools offer an Associate’s Degree in Accounting, so you have a wide range of options to choose from and you may not need to relocate. To enroll on an Associate of Science in Accounting degree, you need to hold a high school diploma or to have passed the General Educational Development tests. Depending on the school you might need to have and maintain a GPA of 2.5 or better. SAT scores may also be taken into account, as well as certain courses such as Algebra and English. It is always wise to gain as much extracurricular experience as possible before applying for any kind of accounting degree. 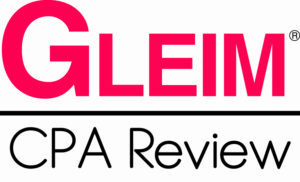 As an Associate of Science in Accounting graduate, you may work in entry-level positions such as account and bill collecting (median salary $32,480). Alternatively you may be able to find a job as a financial clerk (median pay $34,960) or as an accounting and auditing clerk ($35,170 per year on average). While opportunities are limited with this degree, it can be a great stepping stone towards an accounting career and a more advanced degree. 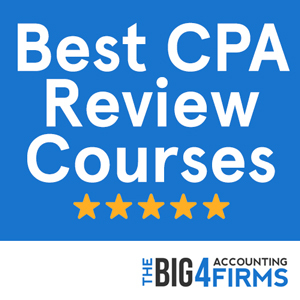 With a Bachelor’s degree in Accounting, you’re ready to embark on an accounting career that could well lead you to CPA certification. You can specialize in a number of accounting fields such as public accounting, tax accountancy, managerial or cost accounting and thus increase your chances of landing a job that you’re passionate about. To apply for a Bachelor’s degree in Accounting, you are usually required to hold a high school diploma with a GPA of at least 3.0 or 3.5 depending on the school. You may also need to take a writing test and provide SAT transcripts. If you have already completed an Associate’s Degree you may be able to transfer credits towards your degree. A Bachelor’s degree is almost always a minimum requirement for a successful accounting career, so this is a great way to start your education. If you’re aiming for the opportunities brought about by certifications such as CPA, a Bachelor’s degree in Accounting will put you at an advantage over business or finance degree graduates. 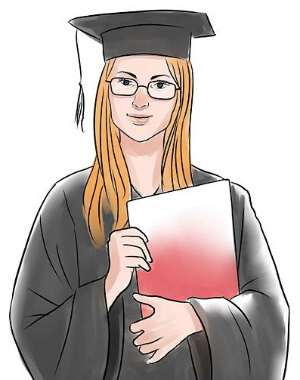 While your major should be accounting-related if this is where your interests lie, you may be able to choose a minor that can help you develop skills important in your future career, such as Computer Information Systems. Some students may also choose to double-major as a means of acquiring the 150 credits required to sit for the CPA exam. If you’re looking for a broader skill set and knowledge base, a Bachelor of Science in Business Administration with an Accounting concentration can be a viable choice. Courses will cover a large array of business and accounting topics and will thus prepare you for work or further study in a variety of business and accounting-related fields. As accounting and business are more and more interrelated in a changing economic environment, such a degree could help you stand out – especially if you’re not yet quite sure which way you’d like to go in your career. You will need a high school diploma or GED to enroll on a BSBA or BBA program, as well as a GPA of 3.0 or better and a certain score on the SAT or ACT exams. Depending on the school, you may need to maintain a certain GPA for the duration of the degree. As a graduate you may earn an average of over $63,000 per year as an accountant or auditor, over $69,000 as a budget analyst, or over $76,000 as a financial analyst. There are many career paths open to BSBA graduates; if you choose to earn an additional certification such as CPA you will be in a good position to aim for even higher-paying accounting jobs. If you wish to advance your accounting career, a Master’s degree in Accounting or Taxation is a more and more common requirement. A Master’s degree will make it easier for you to complete the number of credits necessary for CPA certification. While an advanced degree does not guarantee a higher salary, you will find that it can open doors and help you stand out in a competitive market. Employers appreciate the determination, self-reliance and maturity demonstrated by applicants who have attended graduate school. To enroll in a relevant Master’s course, you will need a Bachelor’s degree in accounting or a relevant field. A GPA of 3.0 or better and good scores on the GMAT or GRE exams may also be a requirement depending on the program you wish to pursue. A Master’s degree in Accounting can qualify you for accounting, managerial and analyst jobs paying over $75,000 per year and can often bring you a six-figure income. 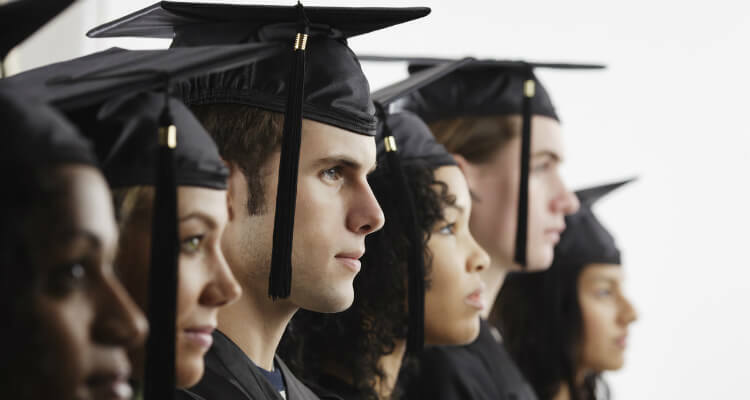 Such an advanced degree can help your chances especially if you are a career changer or if you need it to fulfill CPA requirements in your state. The only downside is the cost of the degree, so this option may not suit everyone. If you would like to keep your options open or if you already hold a Bachelor’s degree in accounting, you may consider earning a Master of Business Administration with a focus in Accounting. Such a program will prepare you for management and accounting positions in a dynamic business world. You will need to hold a Bachelor’s degree, usually in either business or accounting, in order to enroll in an MBA. Most programs require candidates to have scored highly on the GMAT or GRE exams and to have a GPA of 3.0 or better. An MBA usually takes two years to complete, though fast track options are available that may allow you to graduate in one year – and also earn the required credits for CPA qualification. As accountants play a more and more important part in business decision-making, you might find yourself at an advantage as an MBA graduate if your heart is set on the business side of accounting. You may be able to secure senior positions such as senior business analyst, with an average salary over $91,000. The decision ultimately depends on your previous qualifications and where you see yourself in the future – and an MBA is a great way of keeping multiple doors open. If accounting research is what motivates you to get up in the morning, earning a PhD in Accounting may be an attractive option – and the highest accounting degree you can achieve. A PhD in Accounting will equip you with skills and experience that will help you stand out not only in academia, but also when applying for high-level accounting or business positions: few achievements show as much determination, perseverance and hard work as a PhD. You will need at least a Bachelor’s degree and often a Master’s degree or additional experience to enroll in a PhD program. You will also be expected to have completed core math courses at university level and to have passed graduate examinations such as GMAT or GRE. A PhD in Accounting program will typically include a taught segment and two to three years of research, followed by a thesis submission. You will usually be expected to earn your PhD in four or five years and may be able to specialize in one area such as auditing, managerial accounting, taxation or financial reporting. As a graduate, you may have the opportunity of becoming a faculty member in a business school, with a salary over $70,000. As there is a shortage of qualified faculty, salaries can be even more competitive than the average figure. Your PhD may also help you secure a higher salary in senior accounting positions. Each type of degree from this list of accounting degrees has its own advantages depending on your career goals. However, your business, finance, or accounting major will only constitute a part of your success: it is up to you to forge the connections and gain the experience that will help you advance in the field.